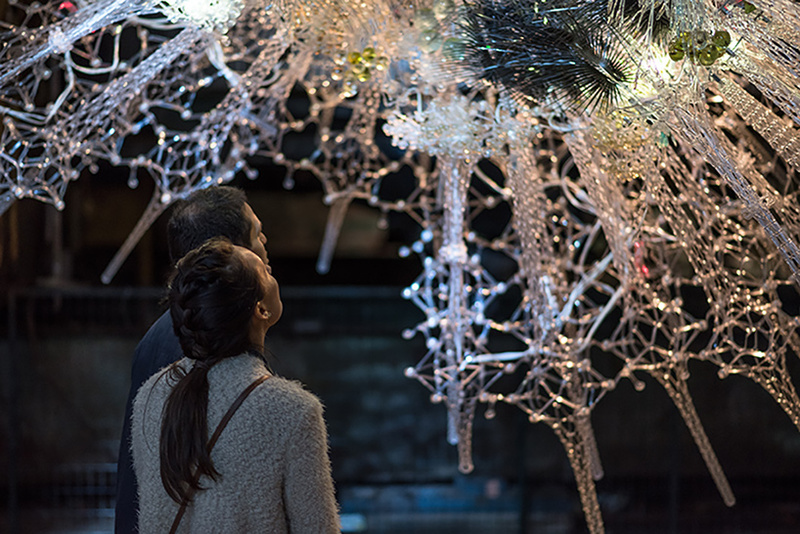 toronto’s expo for design, innovation and technology (EDIT 2017) is a 10 day festival produced by design exchange. 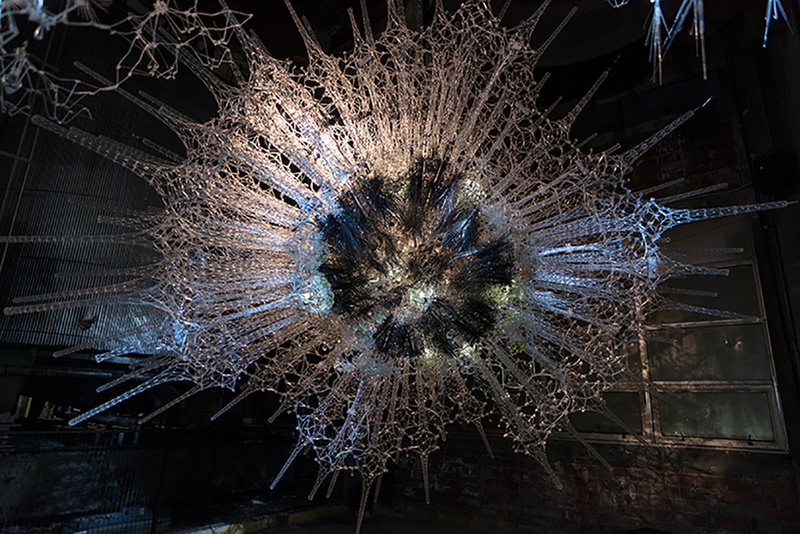 this year, the living architecture systems group (LAS) collaborated with artists, scientists, designers, and engineers to create astrocyte, an empathetic soundspace that feels and speaks with its viewers. 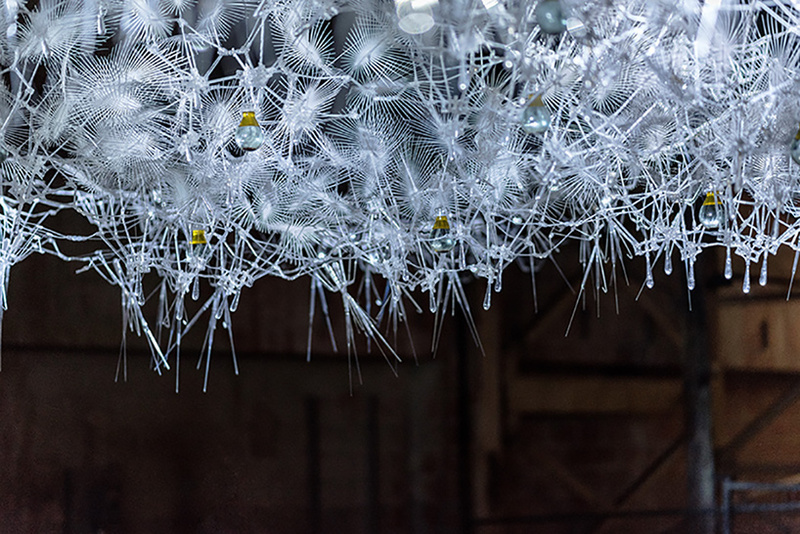 the project, led by philip beesley, is a testament to living architecture systems’ research into resilient and adaptable structures. 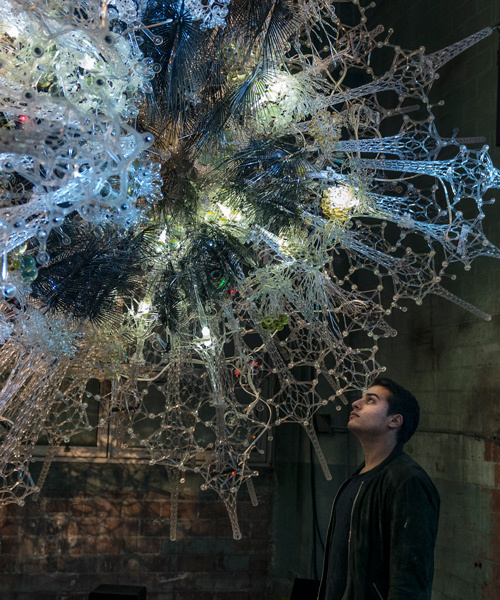 it challenges traditional architecture, embraces digital fabrication, and blurs the lines between two opposing elements: structure and motion. the word astrocyte comes from the greek, astro, meaning star, and kytos, meaning cell; they’re the most numerous cells of the central nervous system and also the most diverse. 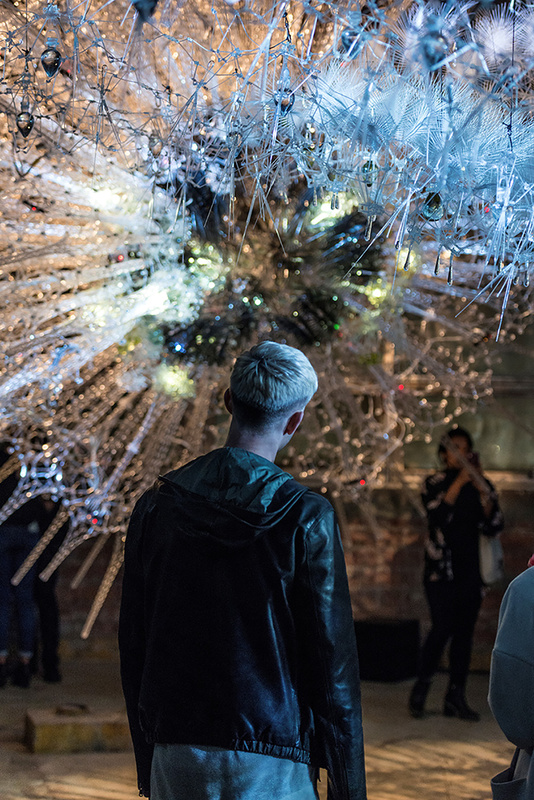 appropriately, LAS’s installation is comprised of over 300,000 components –– a symphony of therapy-formed acrylic, mylar fronds, electronic sensors, 3D printed lights, inorganic chemicals, and custom glasswork. 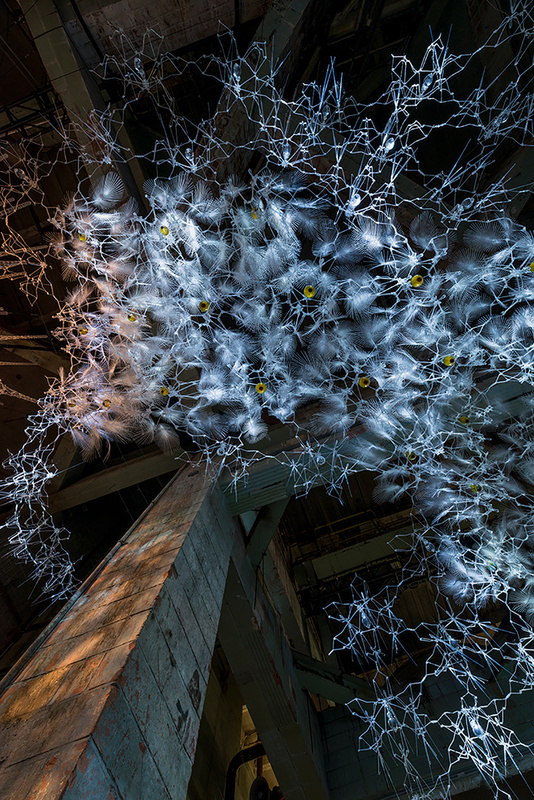 these intermeshed astrocytes are resilient, capable of supporting varying forces and shifting motions. 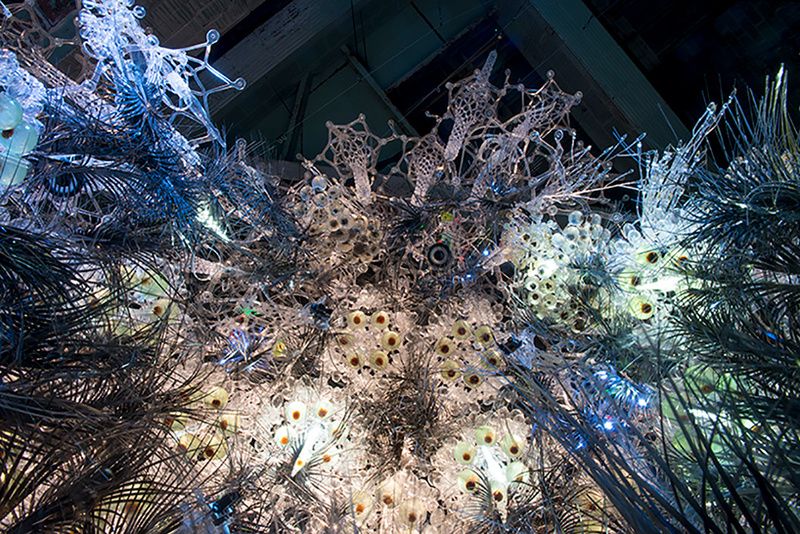 together, the piece responds to viewers’ movements with patterns of light, vibration and multichannel sound. 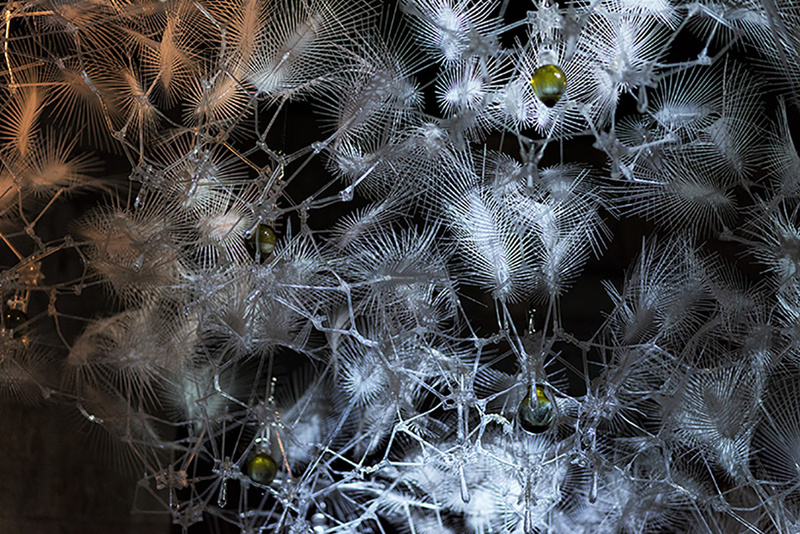 philip beesley’s team created the auditory experience in collaboration with sound artists, 4Dsound. 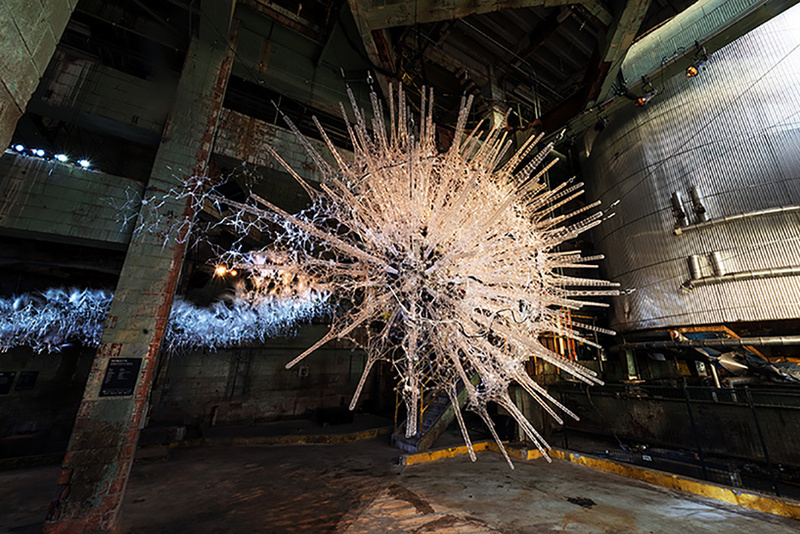 within the glass, artificial chemistry reminds viewers of the sparks of life. with further development, this first iteration experiment, this strangely beautiful combination of oil and chemicals and glass, may lead to new kinds of self-renewing skins for future buildings. 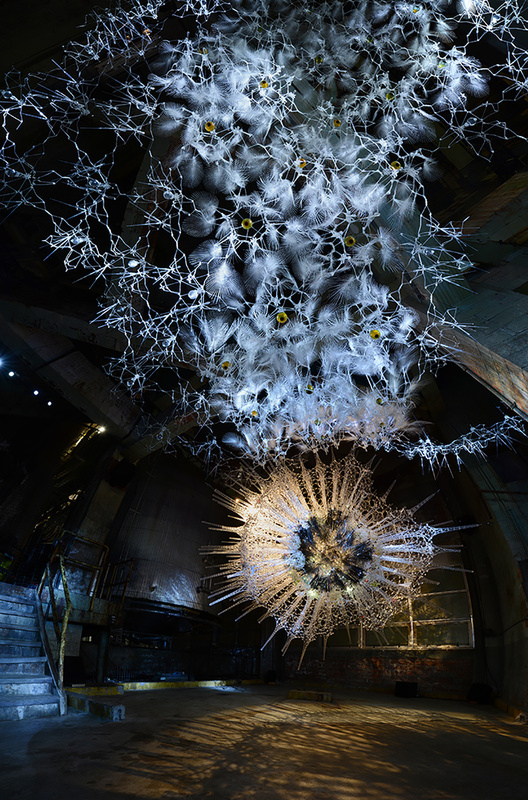 EDIT’s feature, astrocyte, is a direct product of the experimental, interdisciplinary culture of the university of waterloo. 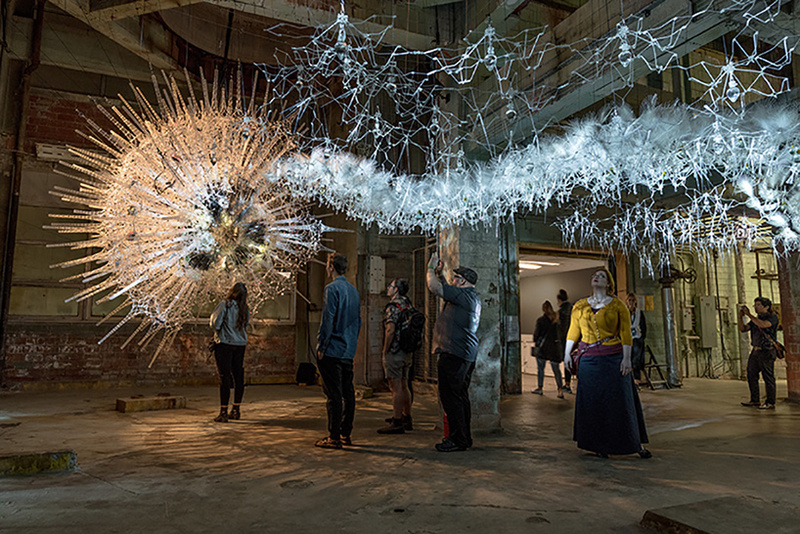 it was made possible by the support of the social sciences and humanities research council of canada and the ontario arts council.